Do you want to alter, extend or renovate your property to suit your needs? We can help. At CS Contractors, our team is skilled in all aspects of building work. Do you want to start a new build project or do you plan to renovate your property? CS Contractors in Bury St Edmunds can help you. Our experienced team will give you great results at a competitive price. From new builds, renovation and groundwork to excavation and alterations, we cover all aspects of construction and building refurbishments at CS Contractors of Bury St Edmunds. Please call us on: 01284 724 048 or e-mail us at colverelli@btopenworld.com, for a FREE on-site survey and a FREE no-obligation quote. One of our members of staff will be happy to help with any information or advice you need. 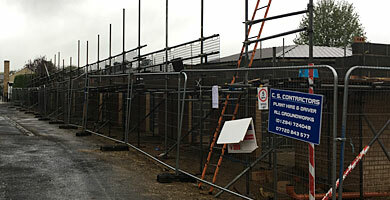 Groundworks Contractors across Suffolk & The South East. CS Contractors are approved by the local council and are on the Streetworks Qualifications Register, which means we are able to carry out council works and road works including tarmac, conreting and installing drop kerbs to the high, local authority standards. Find out how we can help you alter, extend or renovate your property. A building project can be complex and you need the help of specialists if you want to ensure a seamless execution. At CS Contractors, Bury St Edmunds, you can expect our team to handle your work from start to finish with utmost professionalism. 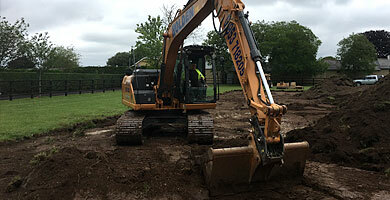 From construction and renovation to groundwork and excavation, we handle all aspects of building construction at CS Contractors. Contact our building experts if you are in or around Bury St Edmunds. Do you want to start a new build project or do you plan to renovate your property? Create a beautiful new space with our builders at CS Contractors. Whether you want to change the decor of your property or need a complete new build, we will have you covered. © Copyright. CS Contractors. 2019. All Rights Reserved.